Life has been wonderful and busy lately. 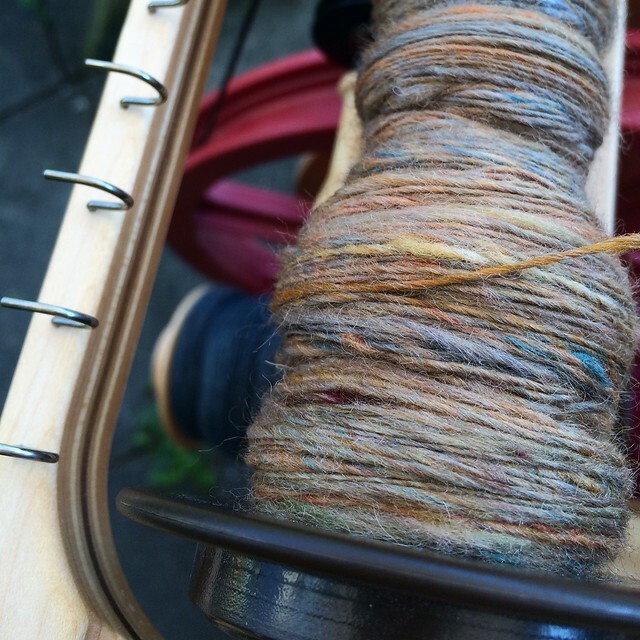 If you look at my instagram feed you’ll mainly see fiber arts related stuff. But don’t be fooled, 95% of my life consists of working, studying and sleeping these days. But that’s okay because I’m taking an exam on corporate accounting this Saturday, which means I’ll have lots of free time to enjoy the beautiful summer we’re having afterwards. In the meantime, I have started a tacky knitting themed sock collection. Julia found these when she was in South Korea a couple weeks ago and they inspired me to start looking for similar socks. 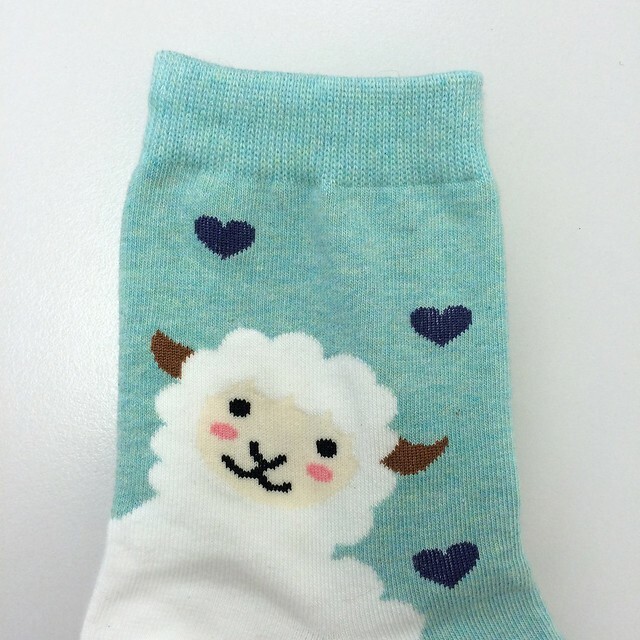 There are so many awesome sheep and alpaca socks out there, I want all of them! It’s a perfect timing to start this collection because most of my store-bought cotton socks are falling apart. Don’t get me wrong, I love hand knitted wool socks, but they’re not very practical in the summer. If you know of a good place to buy knitting / sheep / alpaca / fiber themed socks, please let me know! I took a week off to spend time Göttingen with my study buddies. All my friends / acquaintances in Munich work full time and seeing everybody enjoy the beautiful weather while you’re spending the weekends at the library is a litt bit frustrating. 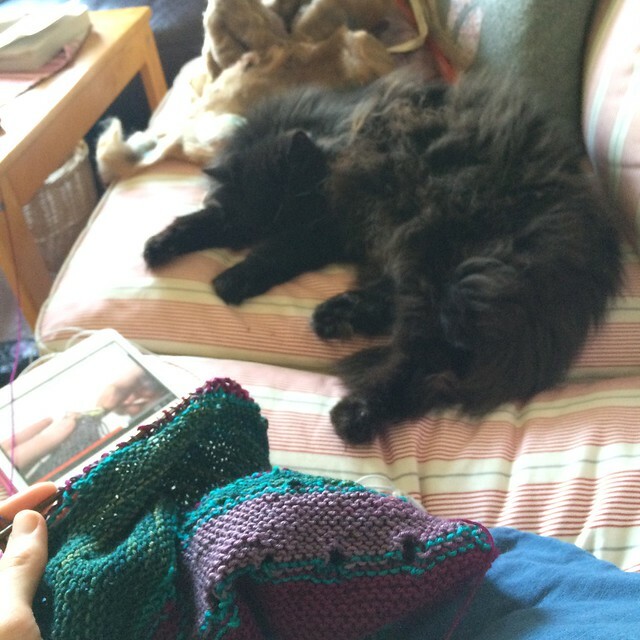 So I’m enjoying spending the evening on my parents’ couch with Lina and knitting on my exploration station shawl. So this is my life right now according to instagram. What have you been up to? What a fun pair of socks! I have also loved your instagram lately, keep that up 🙂 And good luck on your test! Bring on summer!